This was my first race post-Bairn! I originally signed up for the half marathon back in November, but after training went awry, I switched my registration to the 5K and am quite pleased with how it all played out. Especially because we got a fun weekend of travel out of the deal! Bib pickup happened the day before at a fitness studio in nearby Hadley, and was super easy and quick. I had signed up early enough to get a free shirt, which was a tech shirt with gender-specific sizing – always a plus! There was also bib pickup the morning of, but as we were out and about with the Bairn the day before anyway, it seemed prudent to get it done with. 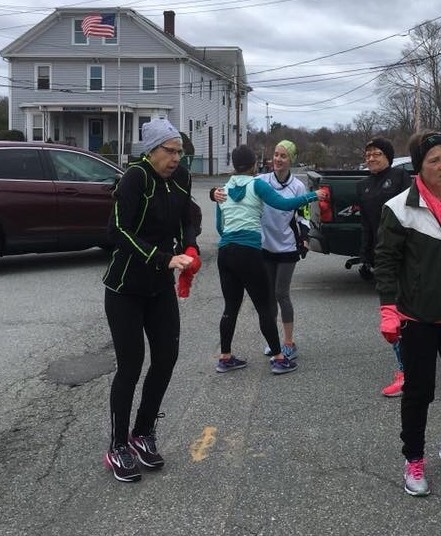 The race itself was held at and around the Fort Hill Brewery in Easthampton, with parking onsite, on a nearby street, and at a community center next door. The brewery looked like an old farmhouse near Mount Tom (which you can see peeking out on the left of the above photo), and felt very picturesque. We arrived just before the half marathon runners took off at 10am, and we took shelter in the brewery as we waited for the 10:30 start for the 5K. In addition to not feeling trained or physically ready at all for a half marathon, the fact that it was in the low 30s (with wind chill making it feel like the 20s) with freezing rain in the forecast made me even happier I had dropped to the shorter distance! It was awesome having the brewery to shelter in, especially since I had a Bairn in tow. A little before 10:30 the runners were summoned down to the starting line. It was frikkin’ freezing, guys. I’ve run in colder temps, but it had been quite a while, and my body was not happy with me for making it hang out in, and warm up in, such conditions. I did some half-hearted warmup jogs and dynamic stretching, then stood shivering with the rest of the 95 runners as we waited for the start. We got some directional instructions before the start, as well as a reminder to take deep breaths and be in the moment, then the starting gun went off and we were away running. I started near the back of the pack, and had intentions of taking it pretty easy, but I was so cold that I found myself running faster than planned just to try to warm up. Also, my recent training runs have all started out fast, so I think that’s just what my body was used to. Maybe halfway through the first mile I checked Simon Mark II and saw I was chugging along at a 9:– something pace. I knew that wasn’t sustainable, but I was feeling okay, so I picked a runner near me who was wearing a sparkly skirt and decided to try to pace her. I managed to stay with her until the water stop just before Mile 2, when I took the opportunity to walk as I drank and she ran out of sight. While I was disappointed to see my pacer disappear into the horizon, I was pretty pleased that I had made it nearly 2 miles without needing a walk break. I had been leapfrogging the guy in the blue hoodie in that photo, and at the time of the picture I had pretty much given up hope that I’d catch him again. The arm at the very far left of the photo was a lady I ended up chatting briefly with (we commented on the not-so-pleasant smell of some kind of factory or stream we ran past) before awkwardly passing her when I got my second wind. Since I hadn’t warmed up properly, my first mile in this race was pretty much a warmup… as in I couldn’t feel my legs because they were so cold, and they didn’t warm up until the first mile had ticked by. I struggled a bit for the second mile… likely because I wasn’t hydrated (I am me, after all)… but then after taking that walk/water break, I had a few minutes and then BOOM my second wind appeared. I’ve written before about races where I’ve felt like I turn into a machine at the end, and that happened again in this race. Once I passed that lady, I felt like I couldn’t stop or slow down if I wanted to. I got to a point on the trail where I recognized the community center that’s next to the brewery, and I knew I was almost done. I had about a half-mile to go, but I ate that half-mile for breakfast. My jets turned on and while I didn’t sprint, I did pick up speed, and I felt strong. I even caught up to and passed Blue Hoodie, and left him in my dust. I picked off a few more people as the trail ended and we turned onto the road that leads to the brewery. The very last bit of the race was a cruel uphill to the finish line, but I ate that hill for second breakfast. Maybe I was just so excited to be done, or maybe I had energy stores galore from the breakfast sandwich and tasty coffee I’d had before the race (ordinarily I don’t eat that much or drink coffee before races), but I tore up that hill, waved excitedly at Drew and the Bairn who were waiting for me near the finish, and crossed the line with a much faster time than I had expected. As a bonus, a race volunteer placed a medal around my neck after I crossed the finish line (according to all the race info, only half finishers were going to get medals, so bonus bling was awesome! ), I grabbed a banana, and wobbled off to find Drew and the Bairn. I was well chuffed with my race, especially the last third or so, and also very glad that I didn’t have 10 more miles to run! The 5K was the right choice for me this time for sure. We hung out in the brewery for a bit so I could warm up and guzzle some water, then we opted to leave early and skip the post-race party. The brewery was going to be serving beer, a local pizza place was already handing out slices to the runners (I think I’ve written before that I have a hard time with “real” food right after a race, especially things like pizza), and a DJ was ready to spin some tracks, but bad planning on my part meant we had no Airbnb to return to and a long ride home with a tired Bairn, so we bolted. The party pics on Facebook make it look like it was a fun time though! Even though it wasn’t the half marathon I had planned on running, I’m glad I dropped down to the shorter distance. My training runs had gotten up to 5 miles so I knew I could grind out 3.1, and knowing my family wasn’t killing a long time in the cold eased me of guilt. I ended up feeling strong and finishing faster than expected, so I’d say it was a pretty successful return to the world of road races! Hello there! 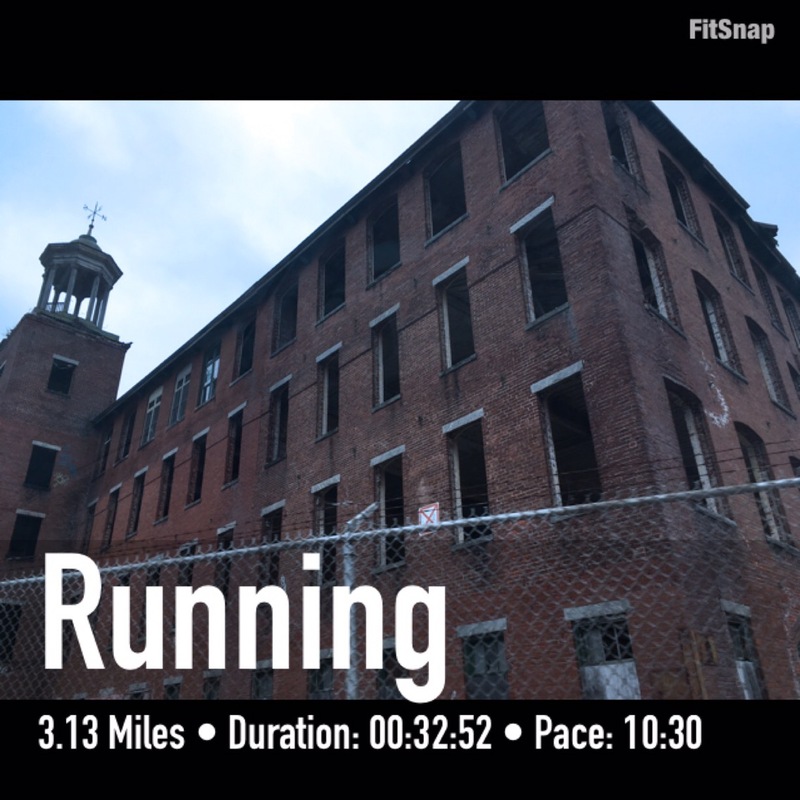 If you read my last post, or have been following along with my ill-fated half marathon training, you’ll know that I recently traveled out to western Mass for the Fort Hill Brewery half marathon/5k. Western Mass is a place I haven’t spent much time in, considering I’ve lived my whole life in Massachusetts. I grew up in central Mass, and now live a bit outside Boston. Western Mass has always unfortunately been the driving equivalent of flyover country for me – it’s the two-lane bit of the Mass Pike that always feels endless on the way home from somewhere else. I’ve known there are cool things to do and see, but other than a childhood visit to the Yankee Candle Factory, I’ve never gone to see for myself. 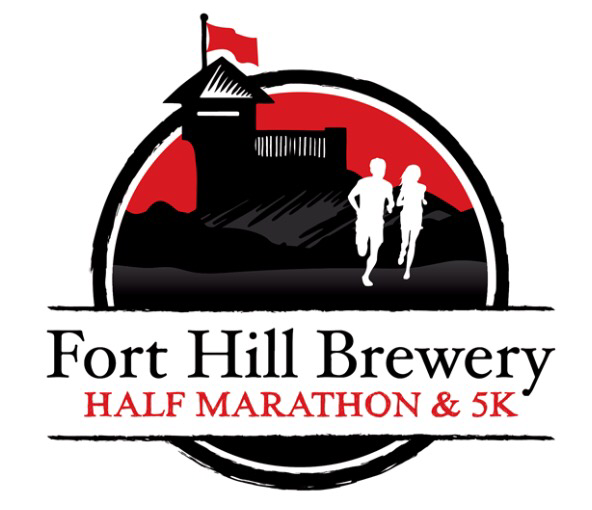 Enter the Fort Hill Brewery race. In addition to being motivation to train (ha!!) it would allow me to check another town off my Massachusetts running map, and would give us an excuse to explore someplace new. 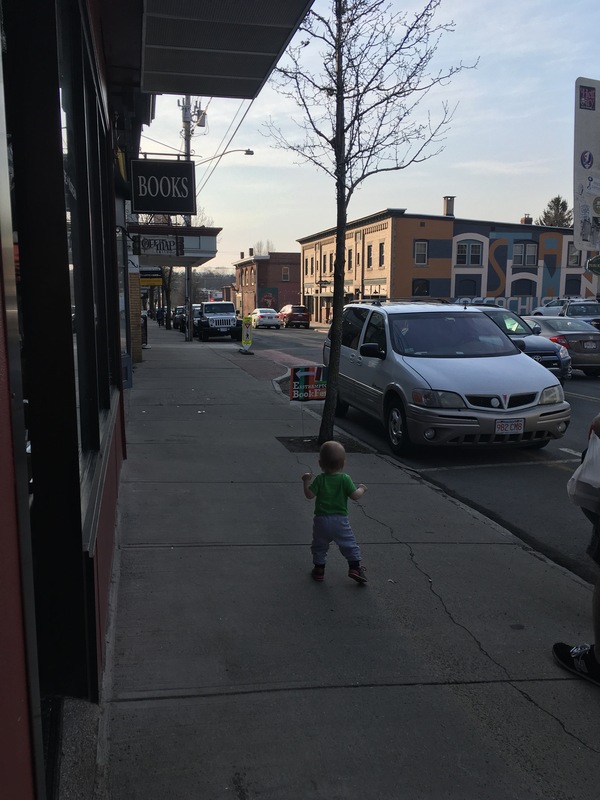 I found a toddler-friendly airbnb close to the race, which was in Easthampton, and away we went. 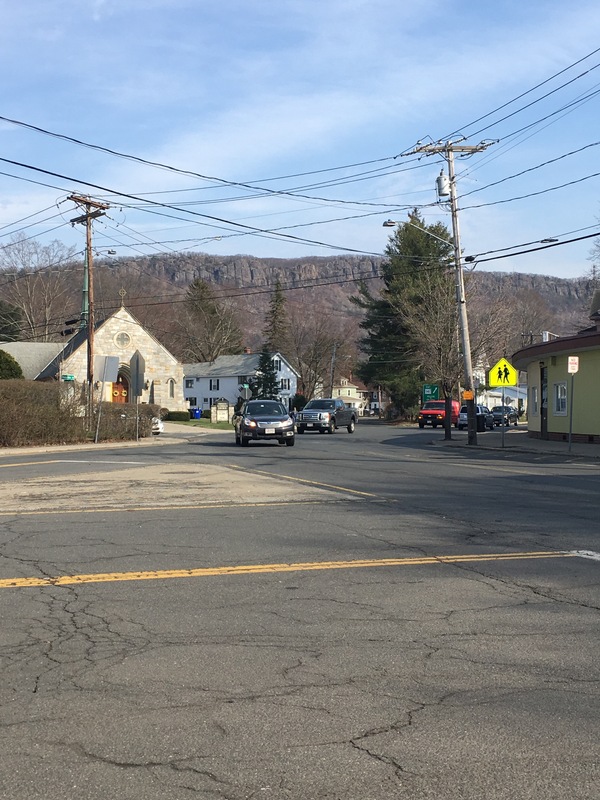 Our neighborhood for the weekend was within walking distance of the center of town, and within gazing distance of Mount Tom (as seen above). We spent the first evening taking advantage of the 70-degree temps and exploring the shops and sights of the town center. 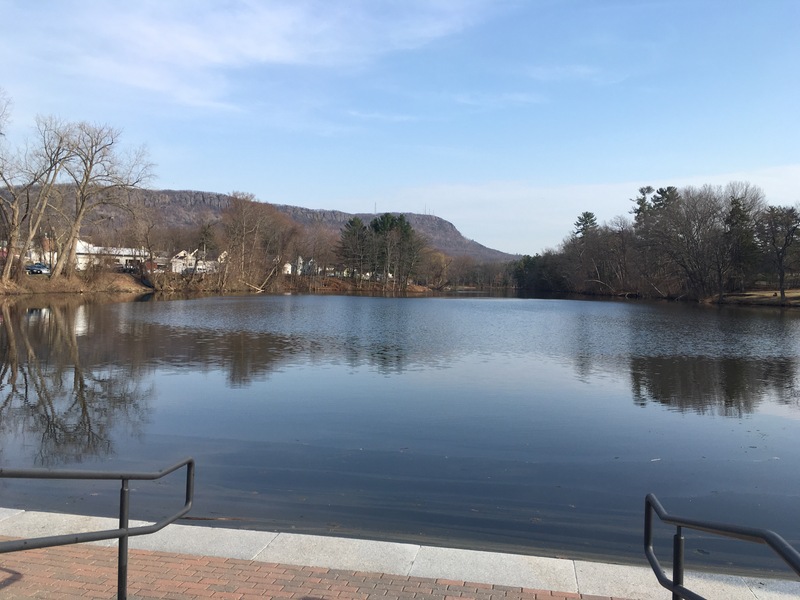 Easthampton seemed to me to be a town that had seen some hard days when its mills closed, but that has done a lot to reinvent itself. It felt like a mix of blue-collar and artsy hipster, with a dash of college town vibe. Several microbreweries have sprung up, and at least one of the giant old mills has had new life breathed into it by new businesses and an indoor park. 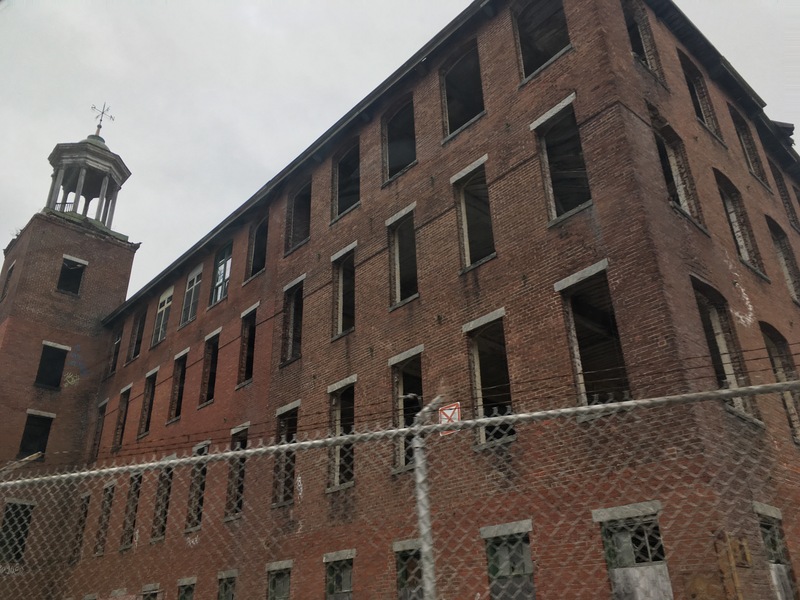 There are also some non-revitalized mills still around (see below), which I’ve always been fascinated by… maybe because I lived near many such mills when I was growing up. Tandem Bagel Company – an old train station turned into a cool cafe serving a huge variety of bagels and yummy coffees. I loved their special maple latte! This place was hopping each morning we visited, and made me wish we had something similar in my city. New City Brewery – tucked in the back of the old revitalized mill I mentioned earlier, specializing in alcoholic ginger beer but offering other brews as well. They have a nice outdoor patio with river views. I highly recommend the New City Mule! Easthampton Diner – old school, no-frills place serving breakfast all day and big portions for reasonable prices. 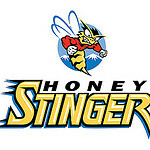 They make good waffles and grilled cheese! Manhan Rail Trail – well kept paved bike/multi-use path that runs along the Manhan River. A good chunk of the Fort Hill Brewery race was along the path, and it was great! It looked like the path runs from Northampton to New Haven, which would make for an epic run. We also spent an afternoon in nearby Florence, visiting Look Park. It cost $9 to drive in, but the park boasts lots of grassy space for Bairns to run around, trails to hike/ride bikes on, several playgrounds, a small zoo, a picnic area with grills, a cafe, a theater, and even a train you can ride around in. On a lovely spring day like we had on Saturday, it’s well worth the $9! Have you been to Western Mass? What are your favorite things to do/see there? Way back in November, I had a goal. I heard about an April half marathon in western Mass, a place Drew and I had been talking about going for ages. April seemed like a decent time for a half – not too hot yet, but (hopefully) not too cold. And a half seemed doable, especially that far out with lots of time to train. And having this goal race would give me motivation to get out there and train… right? Oh, reader. Alas. For the millionth time: if you’ve been reading this blog for any amount of time, you’d know that reacting to any kind of motivation is not my strong suit. Especially in these post-Bairn days when all roads to anywhere are paved with the best intentions, and yet…. So. What happened this time? I believe I last left you with the vague “my half marathon training is all over the place,” which it was with illnesses, ghost injuries, and suboptimal weather and running conditions. All in all, I only ever got up to 5 miles at any one time during said training. If I had an ironclad will I probably could have done it. I have runner friends who run while sick, while injured, and during blizzards. When the sidewalks aren’t clear they run in the road, or chug out the miles on a treadmill. And that’s great! But I think I’ve learned that that’s not me, especially lately. I love coziness, and safety, and lack of injury. Running these days is what keeps me sane as the Bairn embraces the madness of toddlerhood, and my sanity can’t afford injury! So when the top of my foot started giving me grief, and when my right hip started protesting, I reeled it in. I iced, I rested. I avoided slippery slush as well as the treadmill that makes my knees unhappy. I listened to the louder voice. I emailed the race director and asked if I could drop down to the 5k distance. 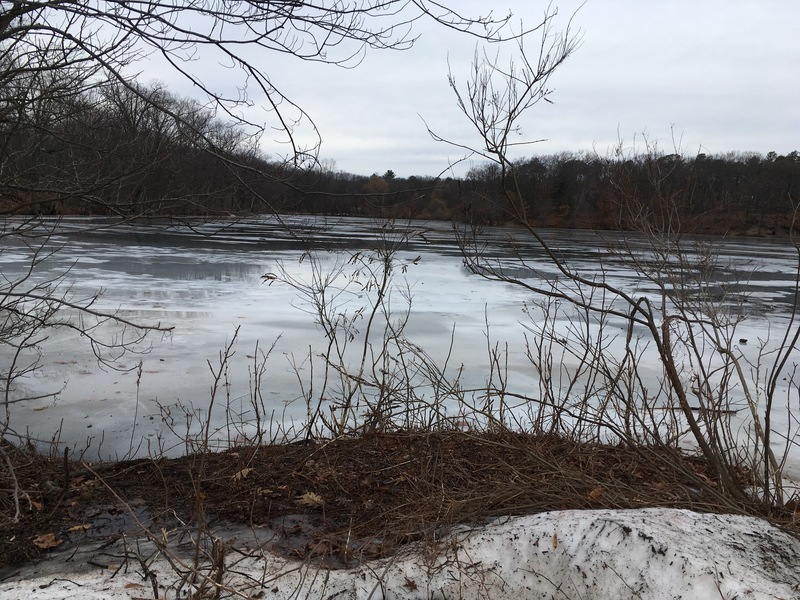 I figured we could still have our Western Mass vacation, and I could still run, but the shorter distance would make for a happier time for all involved… especially when I saw the forecast of upper-20s and freezing rain for race day! It ended up being the right decision. I ran a faster 5k than I expected, I felt strong, I didn’t get injured, and Drew and the Bairn didn’t need to kill time for 2.5+ hours in gross weather. And we still had a fun weekend! I’ve been delinquent with blog posts lately. I think I’m going through one of those phases where I don’t think I have anything interesting to write about, and not enough energy to make myself write regardless. And so the radio silence. My half marathon training has been all over the place. I dialed it way back and intended to do a repeat week or two but really I’m just off the training wagon. 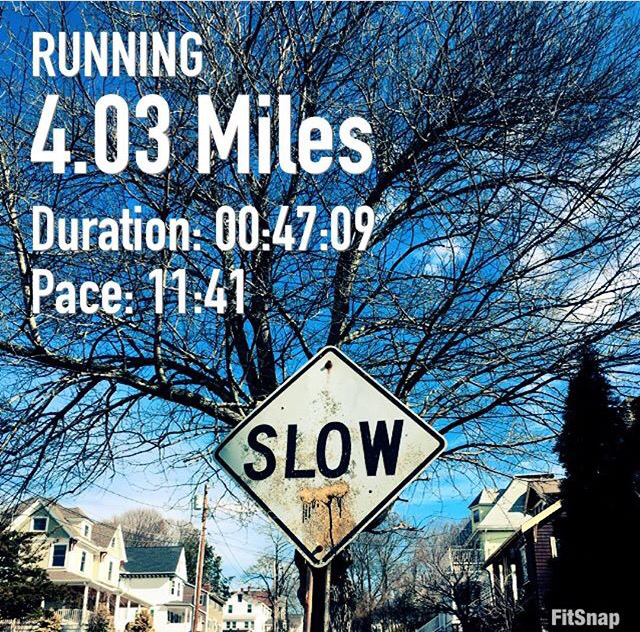 Two weeks ago I managed 2 runs – a weekday 2-miler on a random gorgeous spring-like day, and a weekend 4-miler. Then last week I got a 5-miler in. But that’s it. No cross training (other than lots of walking at work). The road to Fort Hill Brewery is paved with good intentions. I ran about a mile with K before I was totally winded and had to split off to finish my run alone. But those Shammies warm fuzzies carried me for a few more miles, and I hit the distance I wanted without wanting to die too much. Yay! So at this point, my half marathon that I signed up for to force me back into training will now likely just be an excuse to take a family trip to Western Mass. And you know what? I’m okay with that. My boss told me about a park near the race that has a train you can ride, and a museum that has dinosaur fossils, so we can have some fun with the Bairn and hopefully I won’t fail at running too badly. I figure if I can survive a really hot, hilly half while pregnant with no training, I should be able to survive this one. We had a nor’easter this week that dropped a bunch of snow and now the sidewalks are impassable again. It’s depressing. Especially after we had a few 60-degree days in February. Mother Nature is a cruel lady. I’m stuck in a book rut right now. The last book I finished was Just Mercy by Bryan Stevenson, which I read for the social justice book club at my local library. It was a hard read, one that made me angry and broke my heart over and over again and made me feel helpless. The next book for the book club is pretty long so I feel like I should get a jump-start, but I really need something light and/or funny before I dive in. Nothing I try is really fitting that bill, or if it does I’m finding I just can’t get into it. I took Readers Advisory in library school- why can’t I work that magic on myself?? And the Bairn is stirring… until next time! What are you reading? Any nice light books you’d recommend? …and suddenly everything’s right. At least according to Paolo Nutini. One of those things I’ve been meaning to get around to doing for ages is get some new running shoes. My most current ones, Saucony Guide 8s in a snazzy blue color (see photo below), still have miles in them, but they don’t really fit anymore and have been known to give me a bit of grief every now and then during runs. Since I started experiencing knee pain last week, and with a half marathon and the lead-up training looming on the horizon, I thought it was high time I bit the bullet. So Drew and I grabbed the Bairn and headed to our nearest Marathon Sports this afternoon so I could get re-fit and have my gait reanalyzed for some new kicks. It was during the fitting that I learned my formerly size 8.5 feet are now size 9 (left) and slightly bigger than size 9 (right). That makes things fun. Also, it seems that whereas my forefoot has spread out a bit, my ankle area is the same as before, so bigger shoes feel looser at the back now. That’s also fun, and makes it very easy to find shoes that work. Luckily I got a super awesome salesman who knew what he was talking about, and he grabbed a bunch of different shoes for me to try. I gave my Saucony Guides a go again, only to find the new ISO model feels like it’s squishing my feet from the top. The new model of my Adidas shoes felt way too loose at the heel, as did the Brooks I tried. There were only two shoes that matched my flat feet/over-pronation/gait that also felt snug enough at the heel – Mizunos (maybe Wave Inspires? 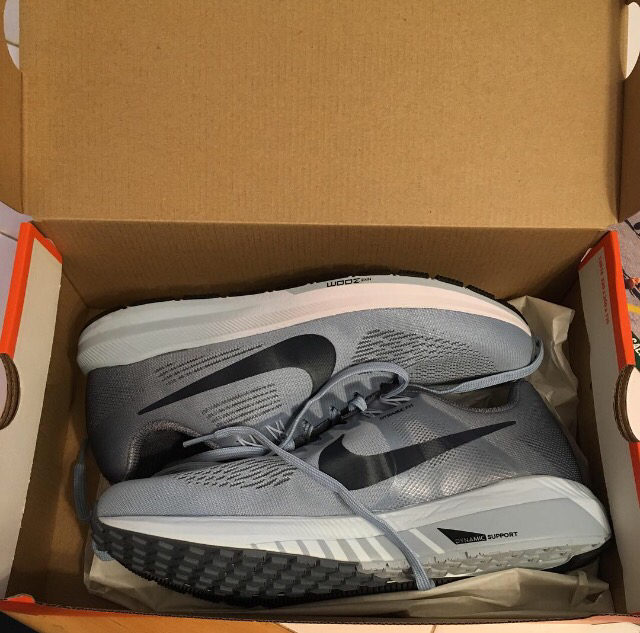 I don’t remember) and Nike Zoom Structures. I ran around the store in one of each for a while, and it ended up being the Nikes all the way. I’m so pumped to take these for a proper run, but I’m a little nervous as well. I’ve been wearing Saucony Guides for almost the entire time I’ve been running, except for the time I branched out to Adidas and ended up with a messed-up knee. It was probably a coincidence, but there’s something of a superstitious comfort in knowing you’ve got a shoe that works for you, and the Guides were my ol’ faithfuls. My fingers (and beleaguered toes!) are crossed that these Nikes do the trick! What shoes are your ol’ faithfuls? 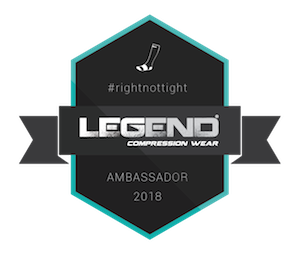 Have you ever had to switch shoe brands after being with one for a long time? How did it go? Like I said last week, I’m awesome at rest days. This one was perfectly timed too, since the Bairn woke up with a fever and we both stayed home and laid low. The Bairn was still home on Tuesday, and after being in the house with him for two days I was a little stir crazy. (We usually run errands or get out of the house somehow, but I didn’t want to drag a feverish wee one with a snot-fountain for a nose out where he could infect others.) Drew was working from home, and during a break in his meetings I booked it to the gym for a welcome break and a treadmill run. I remembered my ipod and had a bumpin’ soundtrack to get me going. The gym was practically empty. It was glorious. Oh boy. This knee has been the bane of my existence more than once on this blog, and I was not happy to feel familiar twinges. I should have stopped my run once I felt it, or walked the remaining distance to 3 miles, but I was stupidly stubborn (I completed Week 1, and I will complete Week 2, knees be damned!!). I finished the run, stretched, and headed home to rejoin my ailing Bairn, with my knee mostly feeling better. Ish. Wednesday the Bairn was feeling better and back at school, so I was back at work. A day of constantly moving from sitting to standing, going up and down stairs every few minutes, and lifting boxes and pushing carts didn’t help my knee any. I had originally planned to do some of my PT/gait retraining exercises to help bolster my knee but decided putting them up and popping some ice on them would probably be the best bet. After the previous night’s icing, I thought my CT would either be a gentle bike ride at the gym or the PT exercises I had planned to do the night before. Then I woke up having inherited the Bairn’s snot-fountain of a nose. I didn’t feel right dropping the still-not-100% Bairn at the gym daycare, nor did I want to drip snot all over the gym equipment (nor did I really want to use the gym equipment with the way I was feeling) so the bike was right out. As the day wore on, I felt worse and worse and really didn’t want to do any kind of physical activity beyond chasing the Bairn around the house. I decided to swap Friday’s rest day for Thursday’s CT and called it a night. Then Friday happened. I well and truly had caught whatever the Bairn had at the beginning of the week, and Friday was my day to have a fever. My mom, bless her most wonderful soul, braved the germs and came over to help wrangle the Bairn while I sat on the couch, shivering under a blanket. There’s really no point in finishing the week in this posting fashion, because as you’ve probably already guessed, I didn’t run at all at the weekend. Between dealing with the fever’s alternating chills and overheating sessions Friday night, and taking a mega-Sudafed as a last resort on Saturday night and being kept awake all night as a result, not to mention the Bairn’s coughing and night wakings, I didn’t get much sleep all weekend. Even if I had been feeling up to running, the lack of sleep probably would have kept me from getting the miles in. So, sad trombone noises for Week 2. Now the question is, how do I handle this training plan going forward? In all honesty, I was setting myself up for badness from the start. I really should have been running/training more before diving right into a plan that asked for 3 miles right off the bat. I knew this deep down. I had intentions of doing just that. As is wont to happen in my distracted #mombrain these days, I lost track of time and all of a sudden had just enough time to squeeze in a 12-week plan, with no room beforehand to build up properly. Knowing my body, that’s just asking for an injury. Before whatever plague this was hit me, I figured I’d sacrifice one run per week to focus on PT exercises for my knees, and to make sure I do the cross-training that’s called for, rather than just 5 minutes here, 10 minutes there. I wanted to do it right… or as “right” as I could at this point. Start the training plan over/repeat Week 2 when I’m feeling better? Jump back in at Week 3, but with some tweaks? Scrap everything, give my race registration to a friend who’s on the wait-list, and just enjoy a weekend in Western Mass without running? Hi! I’d like to introduce you to someone who’s very excited to be here: a version of me who actually completed a full week of a training plan! Was that your jaw I just heard hitting the floor? It’s okay, mine’s down there too. I mentioned several posts ago that I had signed up for a spring half marathon so that I could have a goal to work toward. I knew I’d need to finagle some kind of legitimate training in beforehand, otherwise I knew I’d be a hot mess. Plus, the training – and thus getting back into some kind of shape – was really the motivation behind signing up. …well, that and the chance to check another town off my Massachusetts running map… and the to have an excuse to travel somewhere new with the Bairn. Anyway, I’m starting to ramble. 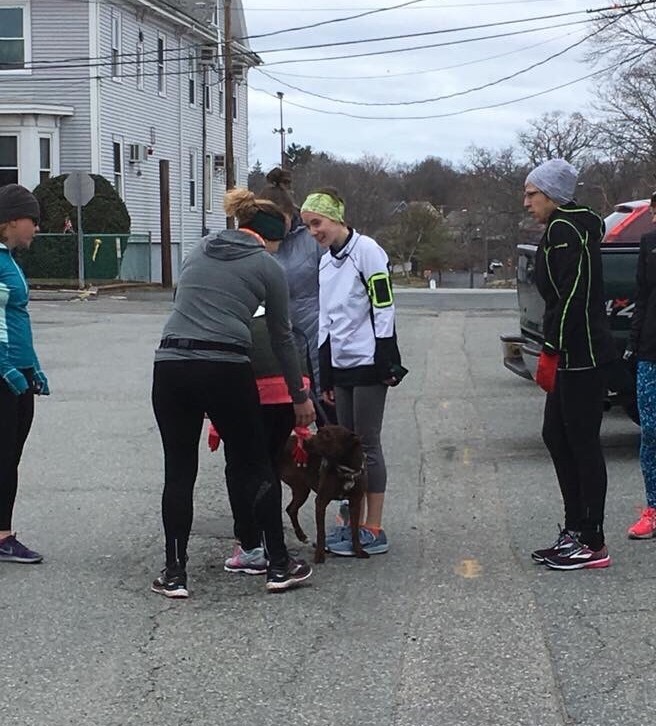 All that to say – I dug out the ol’ Hal Higdon Novice half marathon training plan (which I attempted for my first half… you can read how swell that experiment went in this post), counted the weeks backward from race day, and set my jaw in a determined manner. The first run in the plan was 3 miles. I hadn’t run much more than 1 mile post-Bairn, and that was in early December. I figured hoped a nice gentle mile would be a good way to ease me in to the plan. 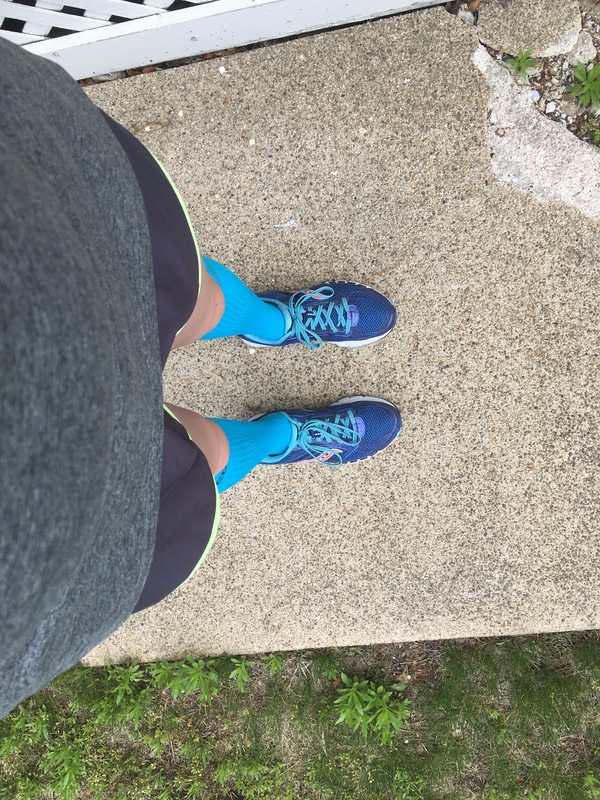 When Sunday turned out to be in the upper 40s, I giddily set out for that gentle mile despite head congestion and a plugged duct (that made squeezing into my sports bra fun…). It wasn’t my best run by a long shot, and I didn’t feel great during or after, but I did feel accomplished at getting it done. I’m very good at rest days 🙂 If Mondays hadn’t been rest days in the plan, I would have tweaked it a bit to make it so. Mondays are my late days at work, and are usually a bit hellish as it’s the Bairn’s first day back at daycare and his bedtime gets pushed late because I get home late and… just ugh. A good day for a rest day indeed. This is why I wrote “more or less” up there in the intro. While I completed the week of training, I did make a few small tweaks to take into account my general lack of fitness (see this post). Even after my gentle mile on Sunday, I mentally didn’t feel ready for 3, so I hit the gym for 2 miles of walk/running on the treadmill. If you look closely, you’ll see some glow-in-the-dark space otter socks and slippers, plus the sweet goggles that came with the resistance bands. Anyway, it was a gentle intro workout, as my body was already feeling it after minimal reps and I didn’t want to wreck myself. I’ll work at building it up as the weeks go on. Remember my good friend the Expresso Bike? I was so excited to hop back in the saddle. I brought the Bairn to the gym, got him registered for on-site childcare, and grabbed a bike. I probably should have started off with an easy lap around the virtual track, but I picked a 1-mile slightly hilly course to make it more interesting. Yeah… after a half-mile my legs were dead. I hadn’t been on a bike since March 2016, before I got pregnant. And my mostly sedentary lifestyle post-Bairn meant my body was already reeling from 2 runs in a week and some cross training. Plus I was worried about how the Bairn, who is in the throes of some nice separation anxiety, was faring having been deposited in a strange new place. So I finished the course, hopped off the bike, and went down to childcare to pick up the Bairn (who was cheerfully bouncing away in an exersaucer). So it was only 5 mins of CT instead of 30, but it was something, right? Neither the Bairn nor I felt 100% on Friday, so it was another well-timed rest day. When Drew and the Bairn settled in to watch the Spurs match, I set off on a 3-miler around the neighborhood, route courtesy of MapMyRun’s Route Genius. It took me down some streets I’d never been down, which is always fun. My first mile was strong, and is now my current post-Bairn best mile time, but the next 2 got slower and slower. Still a decent run, but I need to work on not going out so fast. I think I’m just so pumped to be running again, it’s hard to hold back! Once again, I set out too fast for my first mile and then got slower as the run went on, but each mile managed to come in under 13:00 per mile, even with multiple walk breaks. I’ll take that! Milestone of note: I already have a bruised toenail 😦 I suppose that’s what happens when I dive headlong into a training plan without even a small base settled. Ah well. Lesson learned: Always have electronics charged and ready to go! Both my Garmin and my iPod were dead when I went to use them this week. The Garmin, meh… at least I have MapMyRun to play GPS for me, but man, treadmill miles are looooong without music. Any awesome sightings, milestones, or lessons to share?